Printed by the U.S. 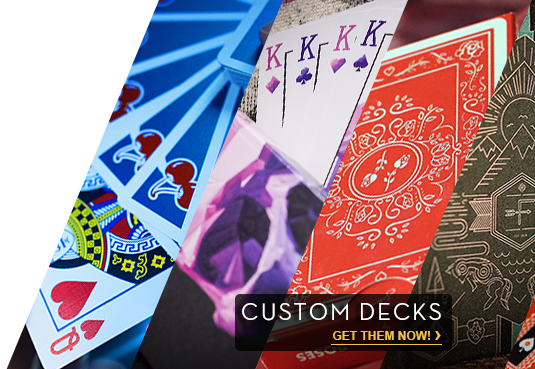 Playing Card Company, the next in the Cherry deck series. Enjoy the beautiful, mystical blue-pearl tone, with specially colored court cards and custom Ace of Spades. Includes two specially printed gaff cards included.